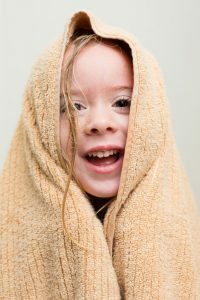 Habitat | How often should you be washing your hair? How often should you be washing your hair? You probably wonder how some people can go 4 days between washes, while others insist on washing their hair every single day. While, some would argue that washing your hair every day is better, others say ditching shampoo altogether is the answer to healthier, better looking hair. It is the age old question, really, but according to the experts, washing your hair isn’t as important as it seems. While the decision is a personal one, there are a few determining factors that should indicate how often you should be washing your hair. So before making the decision, know your hair type, the condition of your scalp and consider your styling preferences. What makes the hair appear dirty is how oily it appears. Much like your skin, oils glands produce sebum which lubricates the hair and keeps it from drying out. Every person produces a different amount of sebum which results in some people having oiler hair (and skin) than others. People with thick, curly or coarse hair often suffer from over drying and should not be washing daily. Instead keep it to a maximum of two times a week. This will allow the hairs natural oils to come through and moisturise the hair, rather than stripping it of moisture. On the opposite end of the spectrum, fine or thin hair can appear greasy in a shorter period of time – sometimes just a few hours after washing. If this be the case, washing your hair everyday might not be a bad thing, but assess your hair and try opting for about three washes a week. For those who exercise and sweat daily, everyday washing is probably essential. Lucky you! Since your hair has no specific needs, how often you wash your hair is entirely based on personal preference, and when you have time to do so. If your hair is visibly oily, or if your scalp is itchy, it’s probably time to wash your hair. The amount of sebum produced by the individual determines the condition of the scalp. A dry scalp will require less washing to allow for natural oils to come through, while an oily scalp can go on to develop acne on the scalp or along the hairline, so regular washing is required. As you can see, there are a number of factors that determine how regularly you should be washing your hair – it’s just a matter of understanding your needs. Try experimenting a little by seeing how long you can go without washing your hair. If you are worried, rinse and condition the hair between washes, skipping the shampoo. You’ll be surprised how long you can go before your hair appears visibly dirty. Looking for sheets that won’t cause your hair to frizz, and tangle during the night? Start the 120 night trial on the Koala Sheets today! Carly Bass is a Sydney-based freelance lifestyle journalist with experience in both print and digital media. Before freelancing, she spent her time as a beauty editor for That’s Life and a health writer for Who – two of Australia’s largest weekly magazines – but also has experience writing travel, TV, entertainment and general lifestyle. You can view some of her work at www.carlybassmedia.com. Connect with her on Instagram @carlyjadebass, or on email carly.bass@outlook.com.